Power Crunch Lemon Meringue protein bars are a refreshing change from all the other chocolate flavored bars on the market. Light, crispy and delicious, these bars are a huge hit among post bariatric patients, diabetics, and Weight Watchers® members around the globe. These delicious and nutritious Power Crunch bars are a healthy treat on-the-go without all the guilt. 13g of Proto Whey® high-quality protein and very low sugar make this a prime choice for dieters everywhere. Treat yourself today. Choose Power Crunch Protein Bars today and see what all the fuss is about! Ingredients : Proto Whey Protein Blend (Micro Peptides From High-DH Hydrolyzed Whey Protein [40% Di And Tripeptides], Whey Protein Isolate, Milk Protein Isolate), Palm Oil, Enriched Flour (Wheat Flour, Malted Barley Flour, Niacin, Reduced Iron, Thiamine Mononitrate, Riboflavin, Folic Acid), Sugar, Palm Kernel Oil, Canola Oil, Fructose, Natural Flavors, Soy Lecithin, Corn Fiber, Carotenes (Natural Color), Lemon Oil, Citric Acid, Salt, Stevia Leaf Extract, Monk Fruit, Baking Soda, Lactic Acid, Ammonium Bicarbonate. Allergy Information: Contains: Milk, Wheat, Soy (from Lecithin). This Product Is Manufactured On Equipment That Also Process Peanuts. https://store.bariatricpal.com/products/power-crunch-protein-wafer-lemon-meringue 9 5.0 2366281580621 Power Crunch Protein Wafer - Lemon Meringue //cdn.shopify.com/s/files/1/0806/1189/products/power-crunch-protein-wafer-lemon-meringue-12-pack-brand-diet-stage-maintenance-solid-foods-weight-loss-type-gluten-free-bars-bariatricpal-store_655.jpg?v=1547948623 //cdn.shopify.com/s/files/1/0806/1189/products/power-crunch-protein-wafer-lemon-meringue-12-pack-brand-diet-stage-maintenance-solid-foods-weight-loss-type-gluten-free-bars-bariatricpal-store_655_large.jpg?v=1547948623 24.99 USD InStock Protein Bars All All Products for Shopping - do not change Bariatric Diet Protein Bars for Weight Loss Bariatric High Protein Foods Bariatric High Protein Foods Bariatric Low Calorie Protein Cakes, Cookies, Wafers + Bariatric Protein Best Sellers New Products Popular Bariatric Foodie Products Power Crunch Power Crunch Lemon Meringue protein bars are a refreshing change from all the other chocolate flavored bars on the market. Light, crispy and delicious, these bars are a huge hit among post bariatric patients, diabetics, and Weight Watchers® members around the globe. These delicious and nutritious Power Crunch bars are a healthy treat on-the-go without all the guilt. 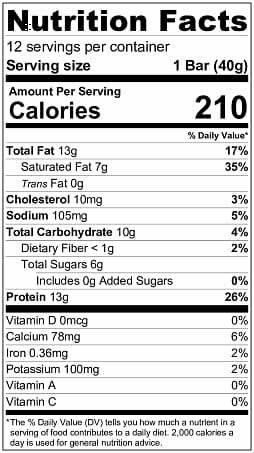 13g of Proto Whey® high-quality protein and very low sugar make this a prime choice for dieters everywhere. Treat yourself today. Choose Power Crunch Protein Bars today and see what all the fuss is about!